First of all I liked very much the format of the event. There were four days (Monday to Wednesday and Sunday) of pure code sprints. No presentations, no business moments — just coding. The almost 200 coders were supported and inspired by relevant contributors from the global community. Three days were dedicated to presentations but code sprinting was a continuous ongoing process. Don’t get me wrong, presentations were interesting too at least because they were focused on development issues. 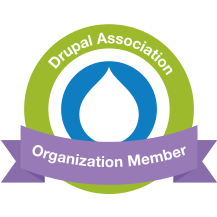 My work was focused on migration in Drupal 8 core — specifically on Drupal 7 to 8 migration but also on improving the image system in Drupal 8. I gave also a short presentation The image system in the New World Order (slides here). Cannot conclude my short update on Drupal DevDays Szeged without mentioning how great was organized and managed the entire event. Kudos to the whole event organizing team. You are awesome! Featured attendees: Nataniel Catchpole (catch), Alex Pott (alexpott), Wolfgang Ziegler (fago), Wim Leers, Negyesi Karoly (chx), Kristof De Jaeger (swentel), Cathy Theys (YesCT), Sascha Grossenbacher (Berdir), Jesse Beach (jessebeach), Gábor Hojtsy and others.